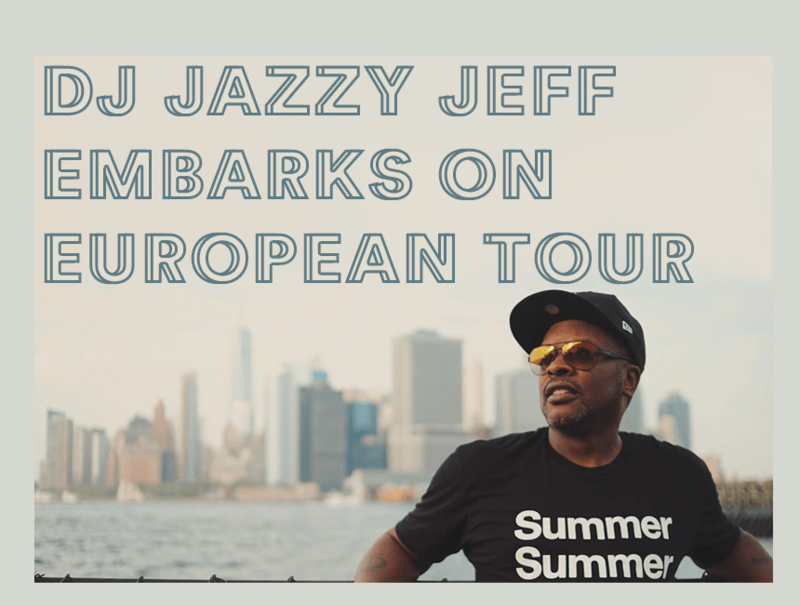 Hip-hop icon and three-time Grammy Award winner DJ Jazzy Jeff is heading out on tour across Europe. After kicking off his 2019 tour in Hamburg on 11th April, DJ Jazzy Jeff is set to deliver a high-voltage performance at Electric Brixton, featuring support from R&B phenomenon Nao. The turntable pioneer will then be bringing DJ Jazzy Jeff's House Party to cities across Europe, stopping by in Torino, Budapest, Tirana, Tenerife, Berlin and Paris. Known to many for appearing in the iconic television series The Fresh Prince of Bel Air alongside Will Smith, DJ Jazzy Jeff and his co-star are celebrating the thirtieth anniversary of their first Grammy win this year, awarded for the debut single 'Parents Just Don’t Understand', an achievement that launched the duo's massively successful careers in music and film. Since first appearing on American screens, DJ Jazzy Jeff has carved out a reputation as a musical innovator and polymath, known for his unrivalled turntable skills and unique approach to the art of DJing. Continuing to represent classic hip-hop and scratch DJing wherever he ventures, Jazzy Jeff is bringing his unforgettable live show to a city near you. Don't miss out.